Gov. 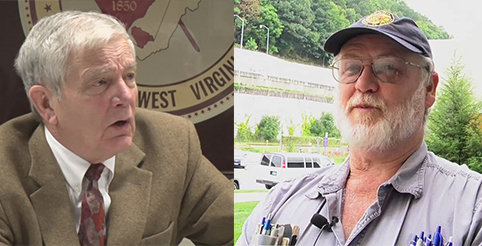 Jim Justice (R) officially appointed Byrd White III (above left) secretary of the West Virginia Department of Transportation on March 26, while naming Jimmy Wriston (above right) as both acting commissioner of the West Virginia Division of Highways and WVDOT deputy secretary. Both are being tasked to carry out the governor’s push to make repairs to secondary roads across the state. White’s transportation career includes a four-year stint as executive vice president of roadway construction company The Vecellio Group, as well as president of its Ranger Construction – South subsidiary. A long-time certified public accountant, White also served as recorder-treasurer for the city of Beckley, WV, and most recently as Raleigh County Commissioner – a post White resigned from to take on his new duties at WVDOT. Wriston is a 24-year WVDOT veteran who spent the last 12 years as the department’s chief transportation engineer and special program manager. They’ll both help direct Gov. Justice’s effort to fix secondary roads most in need of maintenance, based on an extensive list recently compiled at the governor’s direction by division of highways district managers and county supervisors across West Virginia.